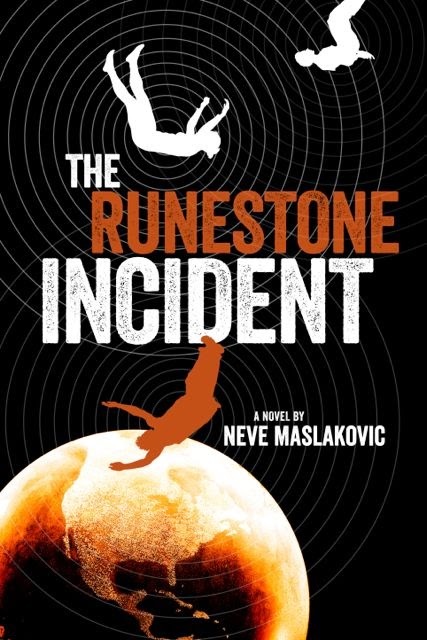 Neve Maslakovic: The Runestone Incident Release Day! The Runestone Incident Release Day! It's finally here -- release day for The Runestone Incident! This is the second book in the Incident series (and my third book in all). You might think that the long wait between the final proofs (mid-October) and release day (today!) would get easier with each successive book… but it doesn't. In celebration of the release, 47North is doing a giveaway on Goodreads. Enter by February 24 for a chance to win one of 20 complimentary print copies. The book has also gone up on NetGalley, where professional reviewers can request a digital copy. Near as I can tell (since I'm not really involved in the process), that includes book bloggers and also readers who regularly post Goodreads reviews, so if you fall into one of those two categories, it might be worth looking into.